This first thing that draws the eye in a Montessori classroom is the materials. 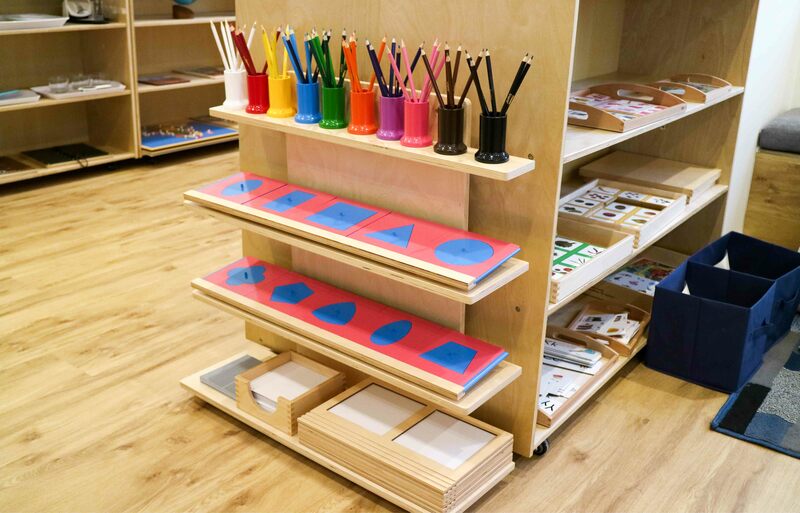 Neatly ordered from left to right, and organised into curriculum areas, Montessori materials are specifically designed for little minds and little hands! The Montessori Binomial Cube is part of the sensorial curriculum area. The material is comprised of 8 wooden blocks which, when put together correctly, create a cube. 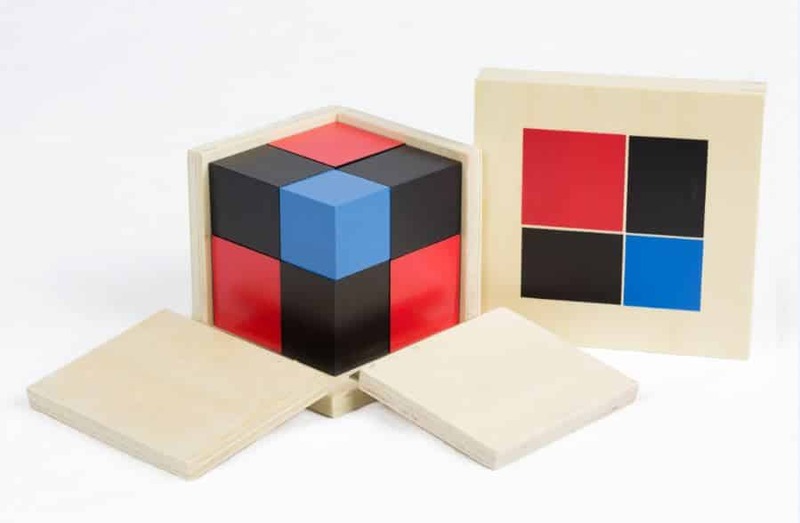 These blocks fit into a natural wood box, which has the completed cube painted on the lid. The blocks are colour coded, and different sizes, and fit together to create a binomial pattern, representing the cube of two numbers, (a + b), or tens plus units. The cube itself physically represents a mathematical equation, which is (a + b)³ = (a + b) (a + b) (a + b) = a³ + 3a²b + 3ab² + b³. The Binomial Cube is introduced to children from around 3.5 years to 4 years old. 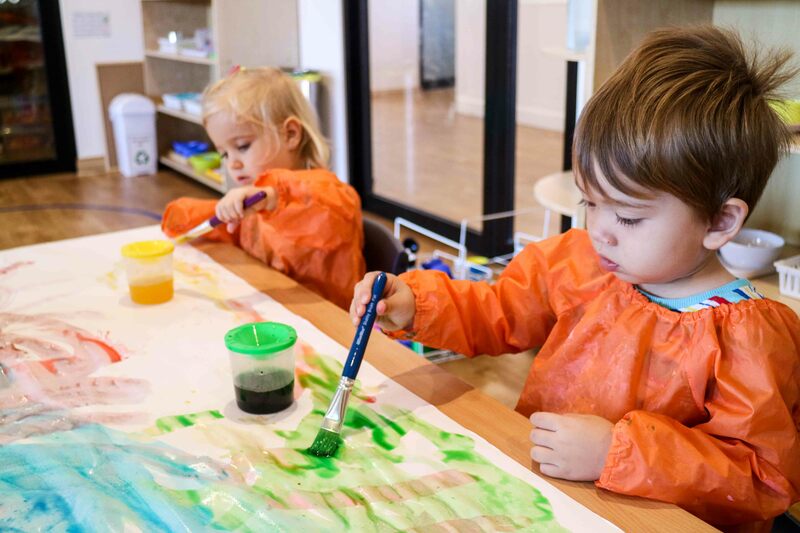 In these early stages, the purpose of the material is less focused on the complex mathematics behind the material, and rather is to provide a challenge for a child’s ability to find patterns and relationships between the blocks. Due to this purpose, the Binomial Cube falls into the sensorial curriculum area. This material is a precursor for more complex mathematical concepts including fractions and algebra. 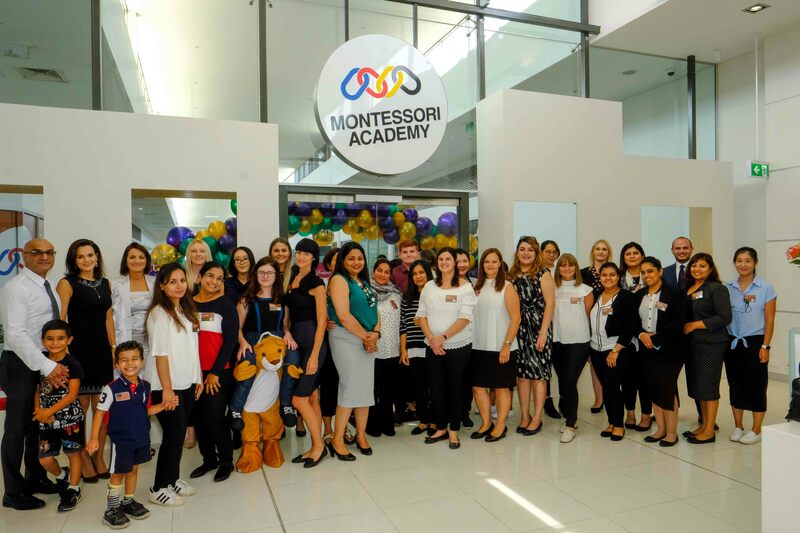 If your child continues to learn using the Montessori philosophy, the Binomial Cube is used in the primary years to understand and experience algebraic concepts. 1)	Before introducing the material to the child, ensure the Binomial Cube has been out away correctly. 3)	Pull down one side of the box at a time and gently remove all the blocks from the box one at a time. 4)	Sort the blocks by colour order. Make sure to leave an inch of space so that the colour can be clearly seen. 5)	Tell the child you are now going to build the cube and using the lid of the box, begin with the red block. 6)	Point to a red side of the placed block and say you need to match this colour. 7)	Find a matching block and place it in the correct spot. 8)	Continue to work in this manner until the first level is complete. The top pattern should match the lid of the box. 9)	Placing a hand on the first level show the child that it is flat. 10)	Now tell the child you will move this layer into the box. 11)	Once the first level is in the box, begin the second level on top, using the lid of the box as reference. If the child has caught on the pattern allow them to assist. 12)	When the second layer is complete, again place a hand to show the child that it is flat. 13)	Close the box, one side at a time and then replace the lid. 14)	Invite the child to work with the binomial cube. 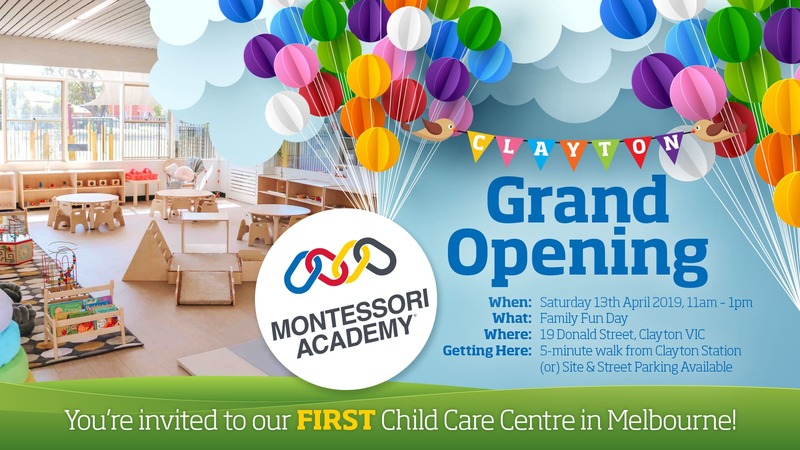 Want to learn more about the Montessori materials?